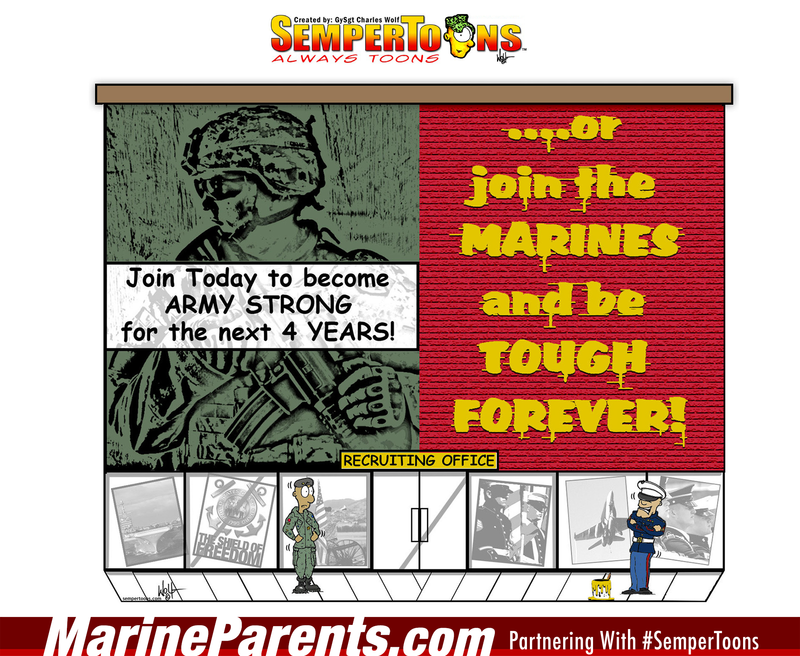 Gunny Wolf from SemperToons has created this cartoon that features a cartoon scenario in front of one Army recruiting office and one Marine recruiting office. The advertisment for the Army office on the left reads, "Join Today To Become Army Strong For The Next Four Years", while the Marine office on the right reads, "...Or Join The Marines And Be Tough Forever!" Shop Tough Forever SemperToons at the EGA Shop.